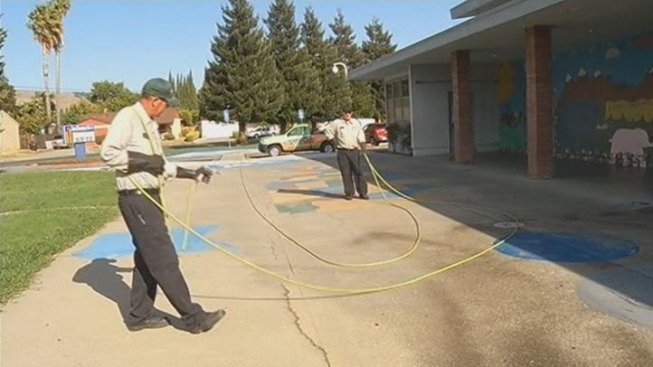 Students were sent home Monday after staff at Ruus Elementary School in Hayward discovered a flea infestation on campus. Students at an elementary school in Hayward, California, got the day off Monday after staff discovered a flea infestation on campus. Ruus Elementary School officials confirm that at least one student suffered bites. The flea infestation was not the only problem -- a water main break was also discovered on the campus. The school is being fumigated for fleas for the second time in the last few months.